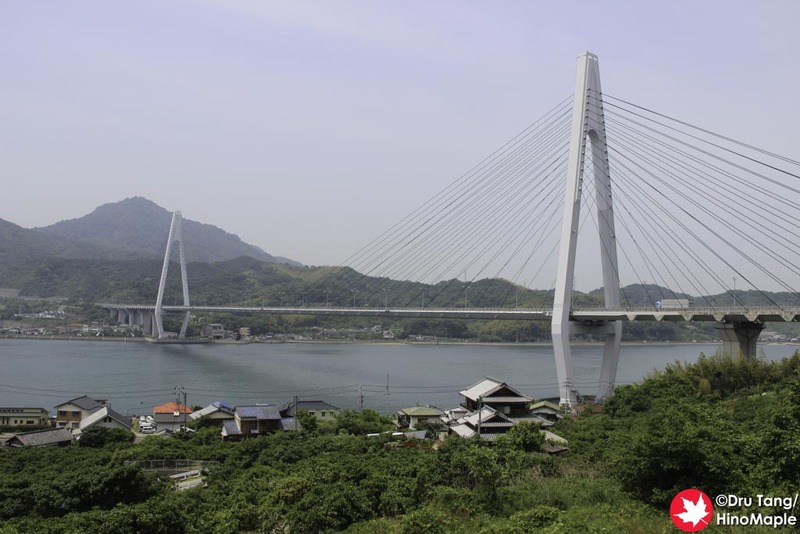 The Ikuchi Bridge is the first bridge where you can enjoy the view of the Seto Inland Sea if you are coming from Onomichi. 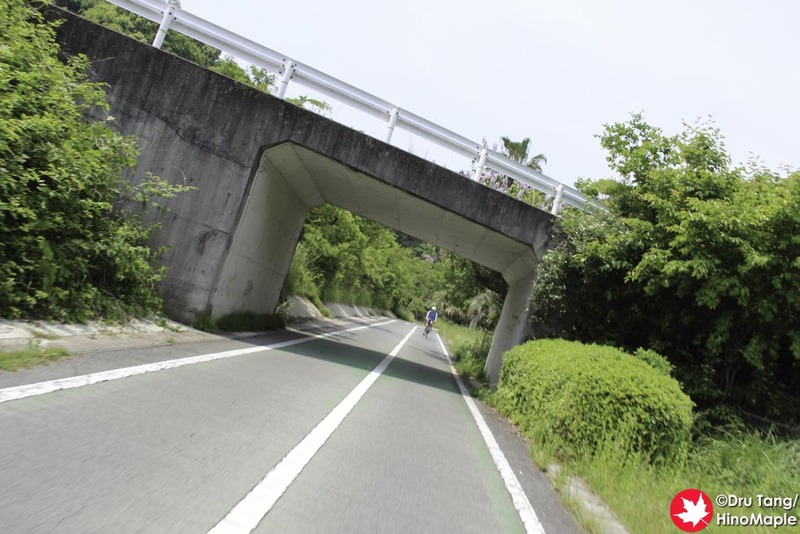 The Innoshima Bridge makes cyclists, walkers, and scooters pass on a small path under the main deck, but the Ikuchi Bridge has a special sidewalk for people. 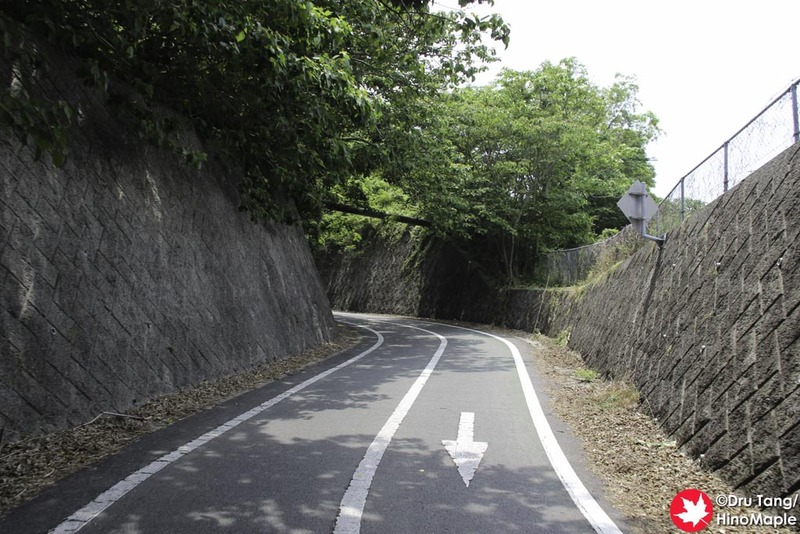 Like the approach for all of the bridges on the Shimanami Kaido, there is a nice long winding path for you to climb to the top. 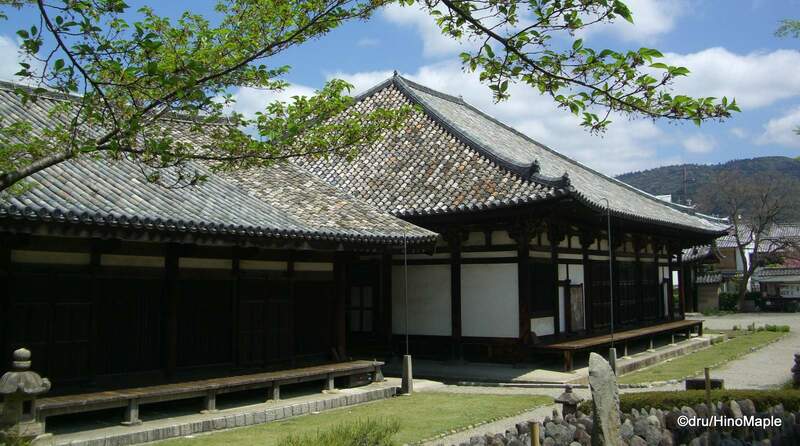 It is about 1 km from the base to the top but you can easily do it in about 10 minutes. 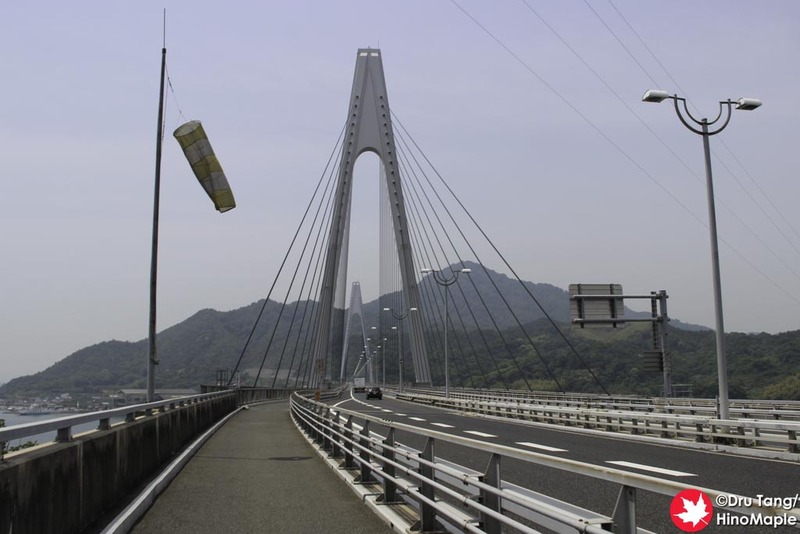 Most of the bridges along the Shimanami Kaido also split the cyclists and walkers from the scooters. This is pretty good as it makes things a bit safer when you are crossing the bridge. The bridge itself is a cable stay bridge with a couple “A” shaped towers. The bridges all tend to feel the same as they are concrete bridges, but being able to enjoy the view as I cycled along the bridge deck was a lot of fun. I had to stop in the middle of the bridge in order to get a good picture. I could have stayed for a while but since I was on a mission to go swimming later in the day, I decided to only make short stops. On the other side of the bridge, the Ikuchijima side, I once again had a fun time soaring down to the coast of the island, but beware as sometimes the road comes up quickly and you are suddenly trying to stop a bicycle who’s brakes are not as strong as they could be. 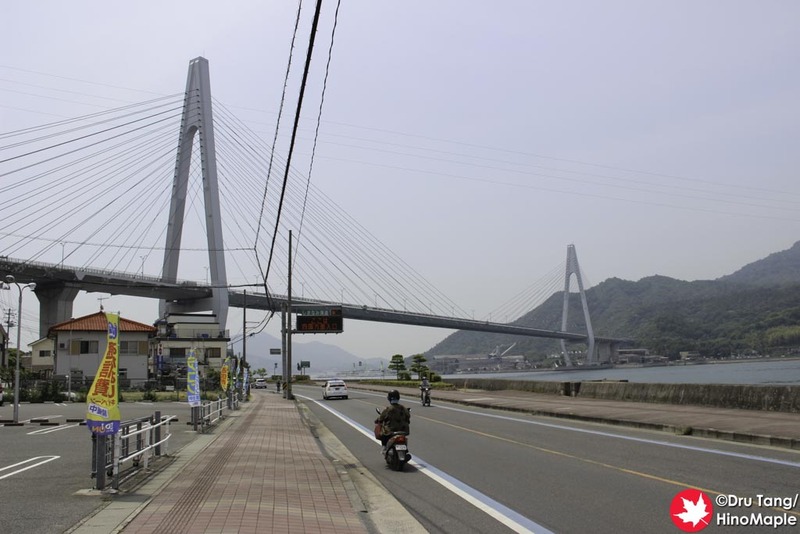 This entry was posted in Chugoku and tagged Ikuchi, Ikuchi Bridge, Ikuchijima, Innoshima, japan, Onomichi, Seto Inland Sea, Shimanami Kaido, Shimanamikaido by Dru. Bookmark the permalink.